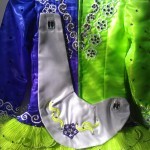 Dress comes with bloomers and beautiful head piece. 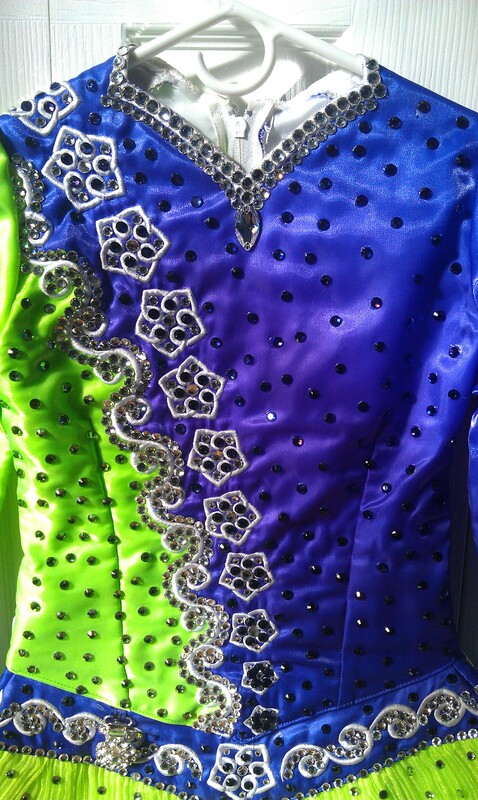 The picture does not do justice to the dress as it is a vibrant purple and Neon Green dress. 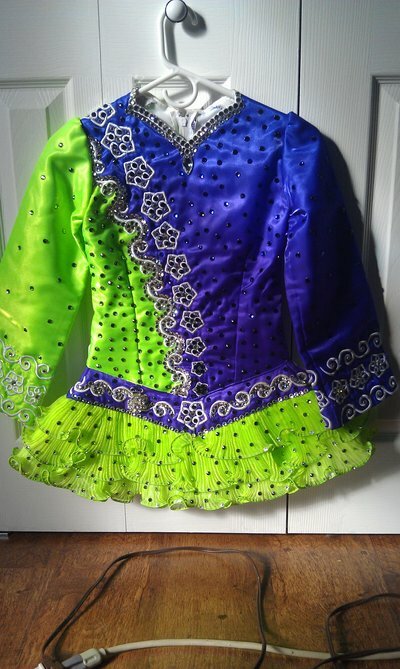 It was made in August of 2011 and dancer is out growing the dress. 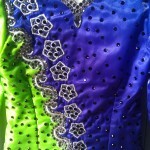 Close to 1000 crystals have been added to this dress: crystal, peridot and purple velvet. 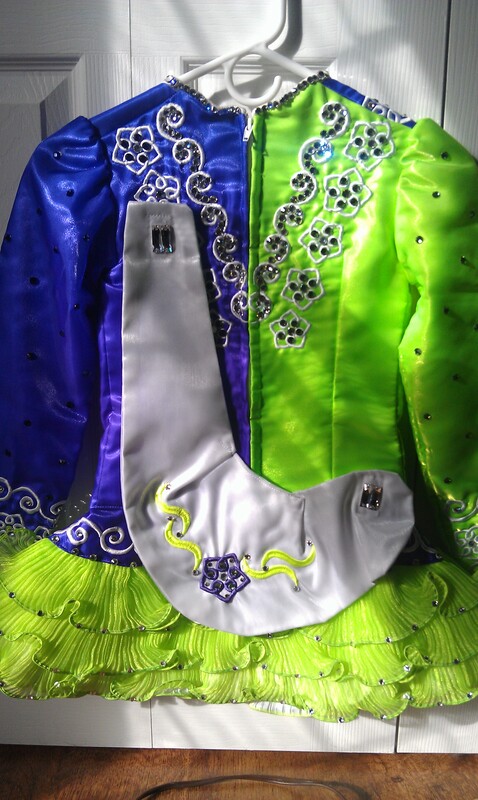 Let is built in the dress in the waist at least 1inch in the bust, waist, sleeves.